There are many reasons to love having an energy efficient home. I want to share what I just learned on this topic from an article in Reality Times. Many who think about living in an energy efficient home do so because of the financial savings, but they may also do it because of the impact on the environment. There are actually two ways that the environment benefits when you have an energy efficient home. First, you will preserve natural resources like coal, gas and oil. These are only available in a limited supply; so minimizing their use means that they will be available for a longer period of time. 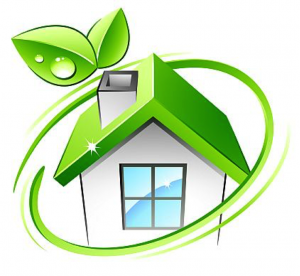 The second benefit of an energy efficient home is a reduction in pollution. Consuming some types of energy causes pollution and greenhouse gas emissions that damage the environment. An energy efficient home gives you these two combined benefits. Any purchase you make will give the economy a boost. Your purchase of energy efficient features and products fuels these companies, and it fosters their ability to continue to innovate new products and technologies. In addition, you may also be boosting the economy with the installation of your features. When you think about energy efficient homes, national security may be the last thing that comes to mind. Because the economy is dependent on foreign sources for energy, however, the country does have to keep this in mind with foreign relations activities. In addition, your purchase of these products enables the companies to continue to innovate new technology, and this may be used by the military on their bases as well as in armed conflict situations. Your quality of life will be impacted by everything from how comfortable your home’s indoor climate is to the intensity of the light from your light bulbs. Many energy efficient changes can actually improve your quality of life. For example, sealing doors and windows decreases energy costs. It also can decrease temperature fluctuations and drafts. In addition, many prefer the natural lighting from energy efficient LED lights over incandescent bulbs. These are only a few of the ways that energy efficiency can improve your quality of life. As you can see, there are many reasons to love having an energy efficient home. You can retrofit and upgrade your existing home so that it has more of these features in it, or, you can look for energy efficient features when you are buying a new home. If that brings you to Napa or Sonoma Valley, I hope you will consider contacting me at 707-738-4820 or via email at [email protected]. I would welcome the opportunity to share my insider information on extraordinary offerings that are not available on the open market.